Great Place. Was a rush though. Could have stopped at any of the wonderful small towns with historic buildings along the way. 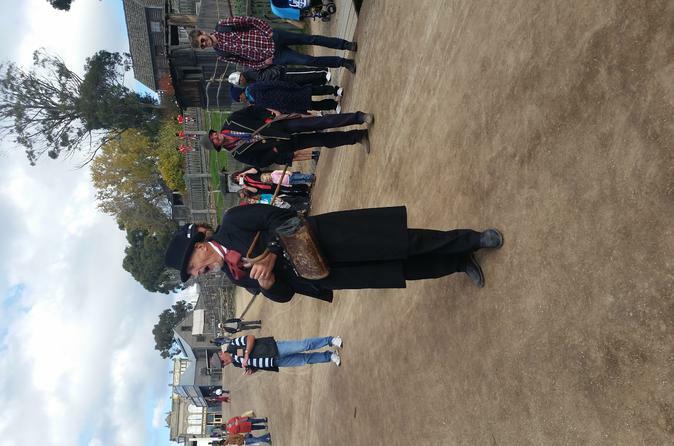 Had a great day at Sovereign Hill. Enjoyed this day immensely, well worth a visit. Our driver was very informative. Amazing day out. You need several hours to look at this place I consider it to be an all dayer. The costumes from this era are beautiful and the storekeepers etc are all dressed up. The interactions with the public is amazing as are the little shows they put on through out the day. Can't pick out a best one to me they were all excellent. Very good trip with Gray Line Australia, driver really added to the whole experience, a must add on is a visit to the Ballarat Wildlife Park, you will enjoy those Kangaroos......Sovereign Hill Gold Mining Town was super, bit hot and dusty when we were there a week ago, very interesting, perhaps best to visit when the schools are not off on holiday. One bit of advice, if you are hungry, try the pie shop, fantastic, but my pie has yet to cool down, very very hot to handle and eat.....Ballarat is a very interesting town full of wonderful old Victorian buildings. A very good insight into times past and how Melbourne and Victoria gained it's wealth. Great tour for kids and family alike - wonderfully organised by Grayline. Our guide Russell was very informative and fun to travel with. The tour was fantastic and sovereign hill is well worth the trip. 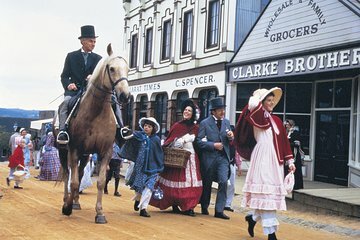 However to call it Ballarat and sovereign hill is a bit misleading. While you briefly drive through the town of Ballarat you get no free time in the town. Sovereign hill was great though the schedule for the tour was very short. You only get five hours at the site which limited time to see all of the site. Though the site closed at 5:30pm, we were told that the bus would be leaving at 3:45pm so that we would arrive back in Melbourne by 5pm instead of waiting to close and arriving back in Melbourne a little later.